An exploration of the various elements of Norwegian culture that have over time fostered a deep-rooted conspiratorial populism, challenging the traditional picture of Norway as a consensual social democracy. Norwegians infrequently find their country’s reputation under attack. But last October, headlines around the world screamed that Norwegians had elected the extreme right-wing party of mass murderer Anders Behring Breivik to government. In a firefighting effort, Norway’s diplomatic corps was mobilised to explain that while Breivik had indeed once been a member, he had never played a significant role in it (he quit because he found it too moderate), and that the Progress party, while populist and on the right, is a serious organisation with a comprehensive policy programme, not a one-trick pony of Islamophobe conspiracy theorists. Nevertheless, foreign journalists can be forgiven for making the link. Grégory Tervel, a French correspondent in Norway, wrote after the election that seen from abroad, Progress’ cabinet participation is a paradox in need of explanation. He is right; but the paradox runs deeper than just one ballot’s outcome of electoral arithmetic. Progress’ success reflects something that is often missed by observers of the bulwark of social democracy that Norway is taken to be: an antipathy towards the Labour party that is surprisingly broad and shockingly aggressive in its most extreme manifestation. The key feature of Norwegian social democracy is that it involves perhaps the greatest socialisation of risk for a majority of the population that any large society has achieved. Being a middle-class Norwegian, which most Norwegians are, is an extraordinarily safe proposition. If you embrace the lifestyle that has been catered for, the risk that any outside disruption will expel you from it is vanishingly small. This is made possible not primarily by oil wealth (although that obviously helps) but by very large transfers within the middle class (to homeowners with mortgages; to couples with young children; to the rural districts), an extensive provision of public goods (notably education that ensures a solid minimum level of skills throughout the population), collaborative and lightly corporatist industrial relations that have compressed the wage distribution, and the substantial bureaucracy that goes with all these arrangements. When a Labour party titan like Thorvald Stoltenberg defended the moral worth of “A4” living, of “the dream about a safe life”, in the 2013 election campaign, it was not trivial electioneering but a message from the core of Norway’s social democracy. What Norwegians call the “A4 life” is a lifestyle as standardised as the eponymous paper size. Norway’s ideal version of bourgeois life in late modern capitalism involves family life with home ownership (as well as ownership of a mountain log cabin, a sailboat, or both); two parents who work full time but with short working days and a generous allotment of holidays; year-long parental leave with each child, followed by the use of subsidised childcare from age one and by a state school system that prides itself on uniformity (the “unity school”, on which more below, is as politically hallowed in Norway as the National Health Service is in the UK). It involves work, but not too much work. Norwegians rank among the OECD’s most diligent in terms of labour participation and among the most leisurely in number of hours worked. The risk-sharing carried out by Norway’s welfare state, while strongly equalising, cannot avoid making some lifestyles more equal than others. Even if the social democratic ambition were as modest as a dance floor (which it is not), there would remain the matter of what music is played. And what about those who do not want to dance? A4 cannot suit everyone. There will always be some unable to achieve it. The misfits, maladjusted, or unfortunate who in some countries would count among the working poor, and in others among the long-term unemployed, are in Norway parked on disability benefits. Then there are those whose lifestyles are just more complex than what a bureaucracy geared towards making A4 work smoothly can easily accommodate. A trivial but telling dispute has flared up in Oslo because schools refuse to let pupils take leave for family occasions or trips abroad. Finally, some people dislike on principle the social democratic model’s patronising nature. (Parents who rebel against a headmaster’s refusal of leave, confident that their child will come back to school none the worse after a trip, are threatened with losing the child’s place in the school.) All this shows that social democracy can create new cultural cleavages by the very way it closes the socio-economic gaps that riddle other countries. Progress’ founding ethos (even its original name!) was to combat taxes, levies and government intervention, and this continues to animate its supporters. A number of other cultural fault lines alienate a minority from the society that (mostly) Labour built. Multiculturalism is the most salient case. Another is feminism. The welfare state as constructed in Norway (and its neighbours) has intentionally strengthened the position of women within the family, the workplace, and society at large. There are traditionalists on the religious right, as well as non-religious critics of a supposed disempowerment of men, for whom Labour is the enemy in a culture war. The (Labour) minister for equalities in the outgoing government infamously said that a woman’s choice to stay at home with her children was worth less than the lifestyle of a mother who went out to work, courtesy of public childcare. When her replacement – from Progress – was asked which types of unequal treatment most concerned her, her answer was discrimination against stay-at-home mothers. These cultural conflicts are narrower than in many other countries. Still, they are crucial for understanding the antipathy to Labour that is easily missed because it is not often talked about. But it exists, and it is an antipathy that in its broad form generates support for a party like Progress, and in its extreme form turns into dangerous conspiratorial hatred. Siv Jensen's victory scream on election night offers a window onto an aspect of Norwegian political culture that is most often obscured. Jensen was addressing a congregation of Progress party faithful, and triumphalism was not a given. The party had lost a quarter of its vote share since the previous national election four years earlier. The final tally of 16.3% was, however, better than the catastrophic 11.7% in municipal elections in 2011, just weeks after Breivik, a one-time member, killed 77 people in a bombing and a shooting massacre. It was also enough to make Progress piggyback onto the centre-right Conservative party’s success. By October the two parties would form a minority “blue-blue” coalition government. As Jensen mounted the stage that night, the right-wing populist protest movement she leads was on the cusp of taking executive power for the very first time – and just as importantly, was helping to boot the Labour party and its prime minister, Jens Stoltenberg, out of office. Electorally, the ballot turned on the patrician Conservatives. But culturally, it was a contest between two people’s parties: the Labour party, whose shape-shifting social democracy has long permeated life in Norway, and Progress, the only sizeable party to reject substantial parts of that heritage. The rabble-rousing Progress party was founded in the 1970s on opposition to the taxes and bureaucracy of the post-war Labour-led state. It grew its support by attacking immigration in the 1980s and multiculturalism from the 1990s on, both core centre-left policies at first. In the last decade, Progress has been condemning a supposed “sneak islamicisation” of Norway. Before the 2013 election, this rejection of the country’s dominant social consensus had put Progress beyond the pale of executive responsibility in the eyes of the rest of the political spectrum. International observers find it difficult to get Progress right. The party is regularly, and wrongly, put in the same category as the Front National, the Austrian Freedom Party, the Sweden Democrats, and other examples of Europe’s nastiest parties. 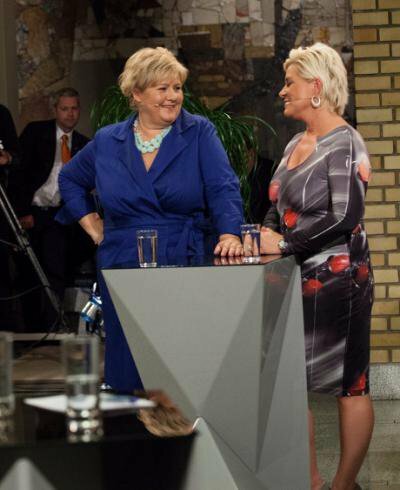 In fact there is no serious extreme-right political force in Norway. Progress is right-wing to be sure, but it does not have the fascist or Nazi sympathies of some of those other parties. What makes Progress worthy of international interest is that it illustrates Norway’s unusually short distance between establishment and populace, in the realm of political ideas as much as in socio-economic status. Despite Norway’s image as the home of progressive reasonableness, there are undercurrents that need be neither progressive nor reasonable. Progress offers a harbour for two of them. One is a surprisingly broad scepticism about the Labour party’s political project that lies just under the surface of Norway’s popular psyche, linked to the cultural fault lines described above. This could, perhaps, be put down to a run-of-the-mill anti-establishment stance. But it lies at one end of a spectrum that, at the other end, seamlessly bleeds into conspiratorial hatreds – of which Breivik himself is the most extreme case – and these have a habit of emerging closer to the mainstream than one would like. Unlike in many other countries, these political undercurrents have not fuelled significant extremist movements – but nor are they channelled off into irrelevant backwaters. Rather, they seem constantly to blend in and out of the mainstream without serious confrontation, and nowhere more visibly than in Progress. That is the significance of Jensen’s holler of good riddance to Stoltenberg. While directed, no doubt, at voters who had simply had enough of Labour – the one-sixth who voted for Jensen, and many more beyond – it could also be heard as a vindication of the smaller number of Norwegians for whom the dislike of Labour is altogether more sinister. The paradox is how, in an overwhelmingly consensual, egalitarian and well-educated country, mainstream views can cohabit with extreme, even conspiratorial, beliefs – not just inside Progress, but in Norwegian society at large. This excerpt is the opening of the Counterpoint pamphlet, The roots of Norway’s populist success, published today as part of Counterpoint’s ‘Europe’s Reluctant Radicals’ project and available here. He is a former foreign minister and father of Jens Stoltenberg, the prime minister at the head of the Labour-led coalition that governed from 2005 to 2013.